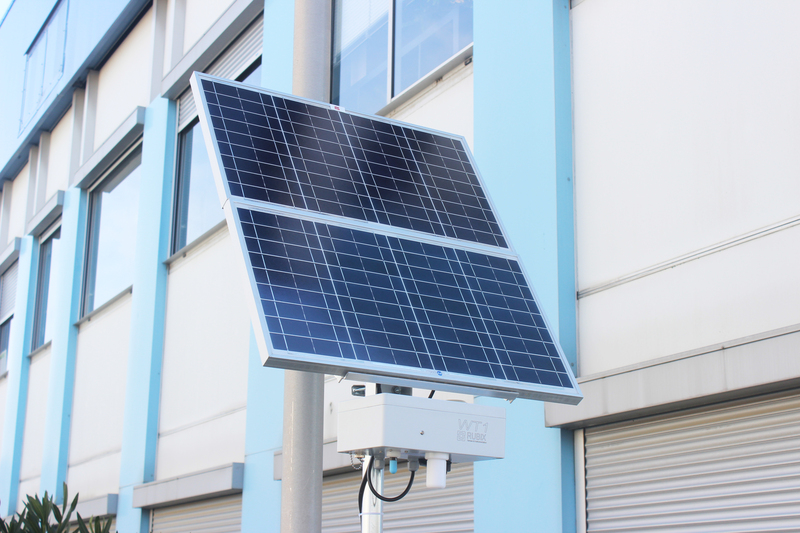 Autonomous & Wireless, WT1® Watchtower fenceline monitoring system is designed for air quality monitoring, environmental impact assessment and pollution control applications in urban and industrial areas. 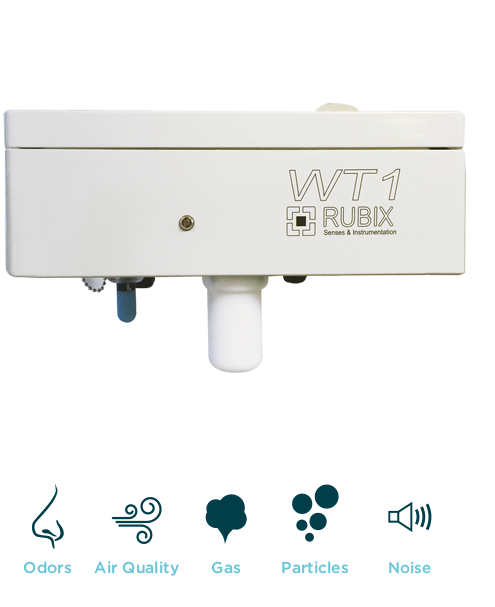 WT1® fenceline monitoring system consists in a network of field-based Gas & Odours analysers with high precision sensor for low ppb gas concentrations in ambient air (H2S, RSH, NO2, NH3, SO2 …) as well as VOC, odours, noise and particles detection correlated with Dynamic olfactometry with high accuracy in ppm, ppb or OU/M3. WT1® fenceline monitoring system is a standalone, sensor based, multiparameter air quality station designed for the automation of pollution and nuisances control processes. WT1® fenceline monitoring system offers the key functions and tools to meet industrial project requirements and regulatory needs. For fast and accurate assessment of the air quality in industrial or urban areas, WT1® fenceline monitoring system is equipped with up to 6 Electrochemical cells among 20 pollutants and odour precursor gases such as H2S NH3, RSH, NO2, NO, SO2, O3 … Additionally the WT1 can be fitted with 4 MOS sensors for odours, as well as the optional PID (VOC monitoring). Particle size monitoring can be added as an optional modules from 0,3 to 17 µm. Correlation with reference instruments can be provided via automatic on line sampling and dynamic olfactometry or field olfactometry and a simple correlation model building. The WT1® fenceline monitoring system cutting edge data processing enables instant assessment of environmental impact correlated with realtime air pollution, noise level and odour monitoring, concentration alarms, instruments fault from PC, Tablets, and phone. 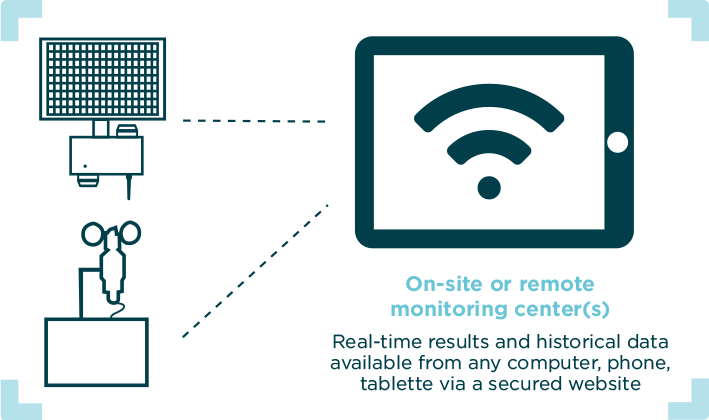 Modular and scalable, the WT1® fenceline monitoring system network is sized to your needs. Standalone analyser or sensor network results are available source by source, site by site or on a regional scale. For cities, large remediation sites, industrial areas, the WT1® fenceline monitoring system instrument network provides real-time accurate air quality data for efficient management of chemicals and olfactory pollution. Results can be accessed from the RUBIX Soft SAS secured website, using your web browser to access safely your data, 24/7, anywhere in the world. 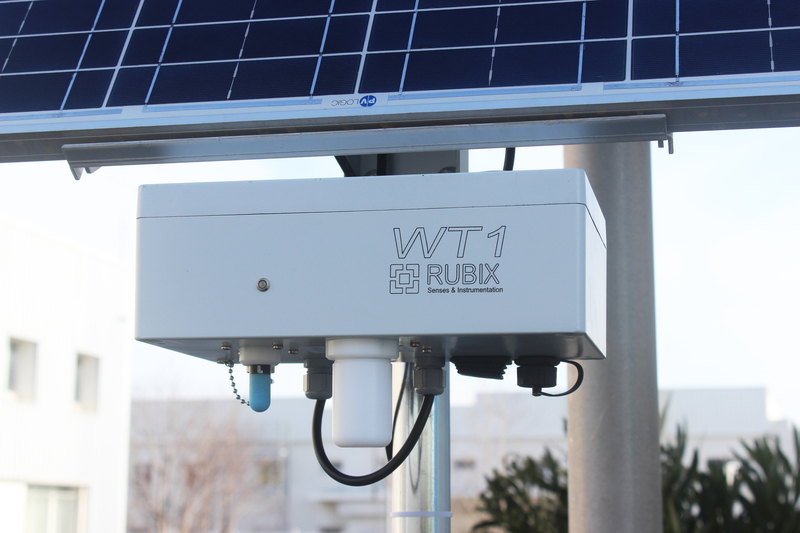 WT1® fenceline monitoring system uses high-precision sensors for pervasive monitoring of pollution and nuisances. The concentration level (ppm or ppb) and sensor combination are defined based on the application requirements. The WT1® can be equipped with up to 6 gas proprietary electrochemical sensors including but not limited to H2S, NH3, mercaptans, SO2, CO, Ethylene Oxide, O3, Methane, Cl2 … in addition to the VOC (PID) and Particles PM measuring blocks. WT1® fenceline monitoring system is typically designed to measure continuously the concentration of 6 gases amongst an extensive list of air pollutants and odour precursors including but not limited to H2S, Mercaptans, Amines, NH2, SO2, CO2, CO, CL, C2HO4, H, HCl, HCN, NH3, O3, NO2, PH3, H2S, O2, SO2, CH4, NO, VOC, PM particles from 0,3 to 17 um. WT1® fulfills the requirements of site operators and environmental authorities by providing an easily expendable fenceline monitoring solution for sites where odour management is critical such as wastewater treatment plants, paper mill, pharmaceutical facilities, refineries. “Landfilling” is the main method for disposal of municipal and household solid wastes or refuses in Australia. Although maintained in an oxygen-free environment and relatively dry conditions, landfill waste produces significant amounts of odorific landfill gas mainly Sulphur gases. The WT1® fenceline monitoring system enables low and sub ppb levels monitoring of odour precursors S compounds from solid waste landfills, wastewater treatment and other waste recycling facilities. Petroleum gases and natural gas are well-established contributors to the world’s energy needs. Specialised sulfur compounds are produced for odorization of natural gas. The stockage, transport and processing of sulphur compounds leads to the need for scrutinised monitoring system to ensure the safety of the workers as well as accurate automated plant operations. In refineries the emissions from desulfurization processes are controlled accurately to prevent nuisances in case of degraded plant operations. The WT1® fenceline monitoring system provides plant operators with accurate and reliable sub ppb level continuous monitoring at site fencelines. The WT1® fenceline monitoring system analyses accurately, concentrations of these foul gases at source and in the atmosphere when dispersed from the stack.